Award-winning author Anand Prahlad to read from his book, "The Secret Life of a Black Aspie," an autobiographical approach to life as black and neurodivergent in America, Feb. 7. Anand Prahlad's memoir, The Secret Life of a Black Aspie, won the 2016 Permafrost Prize Award for Nonfiction. Anand Prahlad has published two books of poems, Hear My Story and Other Poems and As Good As Mango, as well as publishing poems and creative nonfiction in literary journals such as Fifth Wednesday, Water~Stone Review, Copper Nickle, Pleiades, The Chariton Review, and Natural Bridge. He recently completed a new collection of poetry, Hijra, which focuses on black, third gender identity. Prahlad has also published critical articles and books on black folklore and the proverb, including Reggae Wisdom: Proverbs in Jamaican Music and African American Proverbs in Context, and he has edited the three-volume set The Greenwood Encyclopedia of African American Folklore and the one-volume The Greenwood Student Encyclopedia of African American Folklore. Prahlad holds an M.A. and a Ph.D. in folklore studies and sociolinguistics from UC Berkeley and UCLA. He is director of creative writing at the University of Missouri, where he teaches folklore, film, creative writing, and disability studies and has been the recipient of numerous major teaching awards. To learn more about the Weitz CEC please like our Facebook. 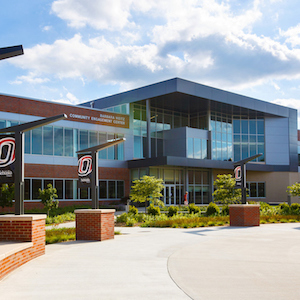 Unless otherwise clearly stated, any views or opinions expressed as part of events at the Barbara Weitz Community Engagement Center (Weitz CEC) should not be viewed as endorsements by the University of Nebraska at Omaha (UNO) and do not reflect the official position of UNO or the University of Nebraska system. Please also be aware, the responsibility for any changes to events held at the Weitz CEC, including cancellation, lie solely with the event organizer and not UNO or the Weitz CEC. Are you a community member interested in public events? Sign up for our monthly collaborative email, For Community Consideration. A partnership of public events and special interest opportunities between UNO's Barbara Weitz Community Engagement Center (CEC), UNO Libraries, and the Willis A. and Janet S. Strauss Performing Arts Center (SPAC). If you are sponsoring a special or public event happening in the CEC or would like to share a news tip or story please let us know. To learn more about the CEC please like our Facebook. Unless otherwise clearly stated, any views or opinions expressed as part of events at the Barbara Weitz Community Engagement Center (CEC) should not be viewed as endorsements by the University of Nebraska at Omaha (UNO) and do not reflect the official position of UNO or the University of Nebraska system. Please also be aware, the responsibility for any changes to events held at the CEC, including cancellation, lie solely with the event organizer and not UNO or the CEC.